For hardening / annealing / stress relieving / temperature of steel and forged components. Available in electrical / oil / gas fired versions. Loading & unloading of heavy parts made easy. Pre programmed control of heating rate / soak time and furnace cooling possible. Motorised bogie drive and door opening. Single or double ended (shuttle type). 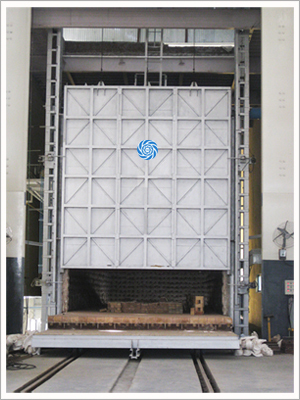 Capacity (Batch) - Upto 250 tons.